I may not get around to many posts these days, but I can’t miss book linkup day. I finished up the Graceling series with this book. Overall, I loved the series. They each focused on a different character and I enjoyed the change in viewpoint. This was probably my favorite after number one. Fire was also good, but the character was a little too emotional for me. Bitterblue was more of a puzzle. I think the reveal at the end could have been a little better. The series tied together really well, however. 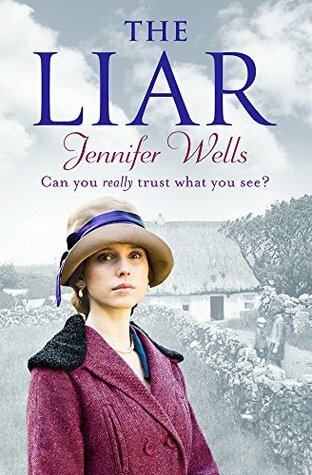 This follows the story of a housewife in 1935 who thinks she lost her daughter 10 years ago, as she tries to find out what really happened. It didn’t have me at the edge of my seat, but it was interesting and an easy read. It keeps you guessing the entire way as to what the real story is, and it took me till the very end to find out. This is possibly a case of “it’s not you, it’s me.” I felt like rolling my eyes through this whole book. It was just like a rom-com movie in book form, so if you enjoy those, you may enjoy this. It claimed to be a romantic comedy, but the comedy was not my sense of humor. I like more quirky, less cheesy. Although there were some fairly raunchy bits, so if you want a lighter Sparks-esque book with descriptive scenes, it may be for you. Kim and her husband, Brian, decide to quit their jobs and sell everything they own to travel the world. I loved how this followed the deconstruction and rebuilding of a person. I can relate, as someone who has recently experienced a quarter-life crisis. I have never felt the same strong urge to go as far as leaving everything behind, but I can understand. The relationship parts were very personal, and I love the things she finds on her journey and how they change her. They are things that I would like to implement in my own life. I think if you like travel and growth stories, you will love this book. I didn’t realize it when I requested it, but there is a lot of hype about this book. Ron Howard has apparently bought the film rights. It makes sense, because I can definitely see it as a movie. The story switches between two different characters’ viewpoints, and it took me a while to remember which was which (one is “then” and one is “now”), but I was fine once I got into it. If you like suspenseful books with interesting/crazy set-up’s (I can never step away from a good set-up), you would probably like this. My reading pace has slowed a bit this month, so I may have a few less books next time. I’m back at work, and I haven’t made reading a priority with Ellie being 4 months old and me trying to figure out work/baby life. Also, I’m only (hopefully) temporarily working right now so life is just crazy. I’m currently reading How to Solve Your Child’s Sleep Problems by Richard Ferber, M.D. Fascinating read haha! It actually is interesting, so far. And I really want to get more sleep again one day. Sleep is wonderful. Linking up with Steph and Jana for Show Us Your Books! The Yellow Envelope sounds good although I'm sure it would give me serious wanderlust! the yellow envelope sounds sooo good. I added it to my tbr, I feel like it would be the perfect summer read. The Yellow Envelope sounds so good!! I have The Girl Before and I am glad you enjoyed it. I might have to check out the Graceling series. Ron Howard making The Girl Before? I need to read it then. I love Ron Howard & always have to read the book before the movie. The Girl Before is on my Kindle, courtesy of NetGalley. I am so looking forward to finishing the library pile so I can start getting to them. The Girl Before was so good, and I didn't realize all of the hype around it either. It really is set up perfectly to be a movie at some point, especially with the crazy house! I need to read Graceling series, especially after how much you loved it! Plus it's YA and I love YA! I'm waiting on The Girl Before from the library! The Yellow Envelope sounds super good, and I really loved The Girl Before! Graceling has been on my TBR for some time but I've been waiting to start until the final book came out because they seem like the kind of books that I will gobble-up! I read The Girl Before last month and really enjoyed it. I loved how my feelings for the characters kept involving as truths and lies were revealed. I did see that Ron Howard bought the rights to the book and it would make a good movie. 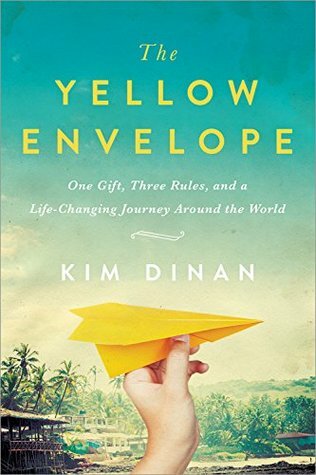 The Yellow Envelope sounds really good and I've added it to my TBR. 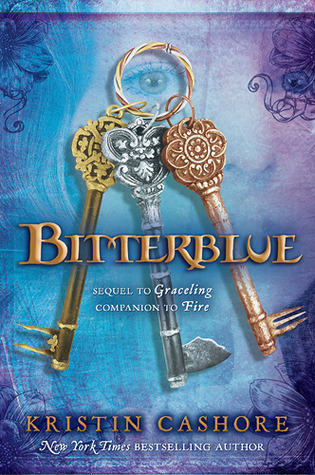 I'm not familiar with the Bitterblue series but the cover is so pretty! 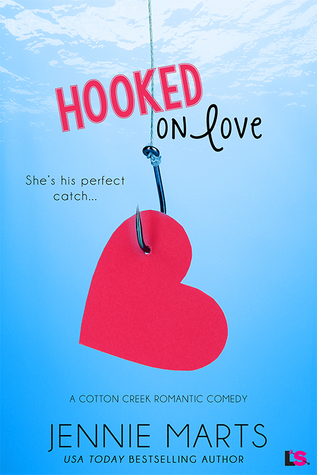 Your thoughts on Hooked on Love sound like how I felt about The Hating Game & The Girl Before is on my iPad to hopefully read in the next month or so! The Yellow Envelope sounds interesting. I hadn't heard of that one before. 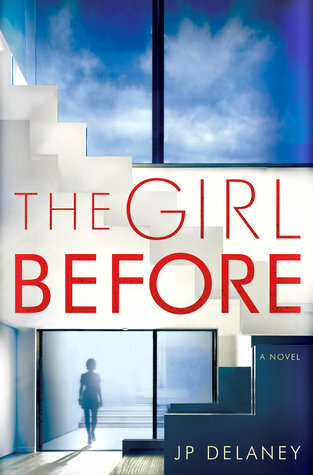 The Girl Before is on my tbr already. You're doing great! No worries if reading takes a backseat to work and that adorable little baby!